days ago and thought, “Why not find some Mario themed origami?” Well, the “why not” is there’s not much to be found of Mario origami. 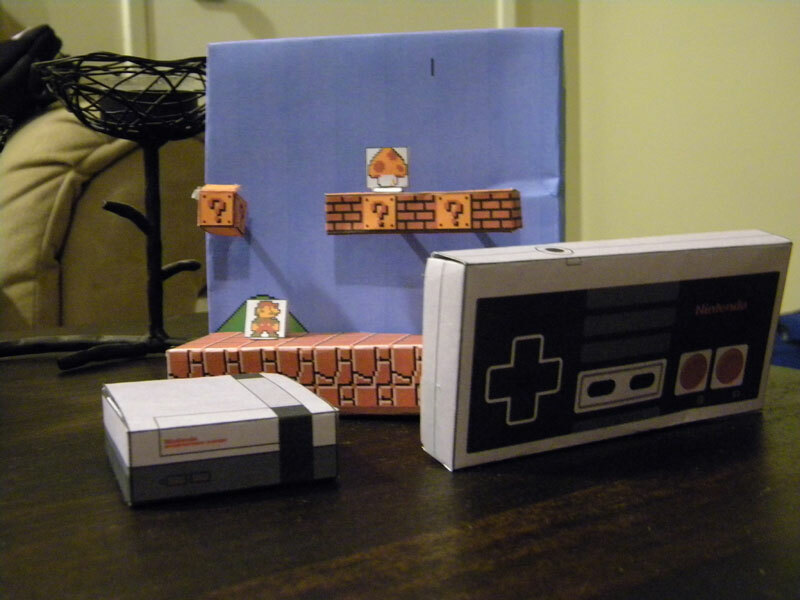 There is however plenty of papercraft Nintendo stuff. 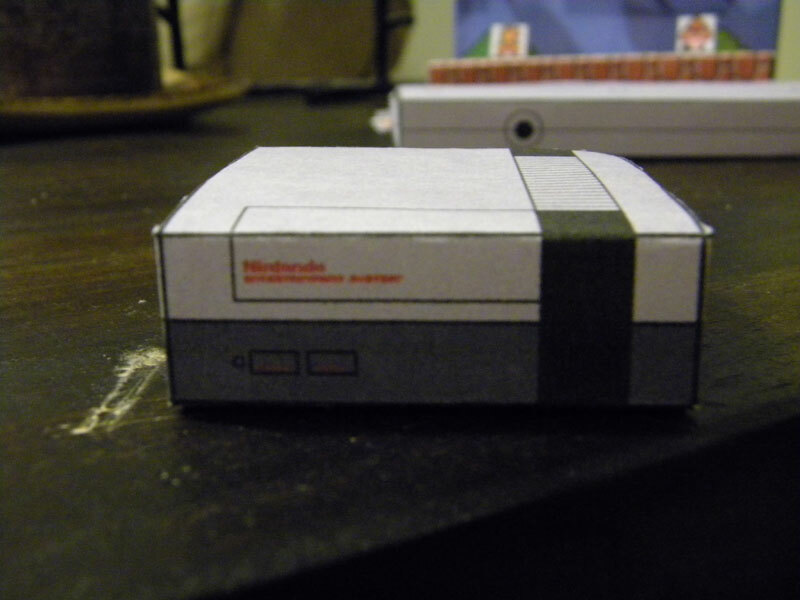 ref=”http://www.cubeecraft.com/”>http://www.cubeecraft.com and search Nintendo to find models of the original NES, the NES controller, and other game systems and characters. For something slightly harder, go to http://nerd-craft.blogspot.com. 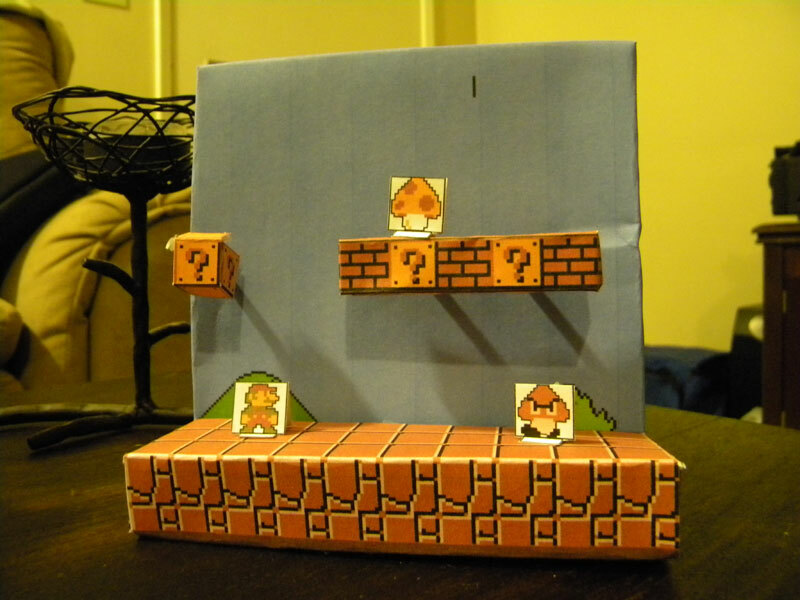 Here you will find various dioramas of Mario levels, such as 1-1 (beginning and end) and 7-3. An Exacto knife would be useful (even though you can get by with a pair of scissors) as well as some card stock paper. It’s thicker than normal printer paper, which is very useful in the dioramas.